In 2007, Scott Ford was the CEO of Alltel, a regional wireless telecommunications company headquartered in Little Rock, Arkansas. In May of that year, he announced that the company was being sold to two private equity firms, one of which was a global investment banking giant from New York City. In his first meeting with the new owners, Scott was expected to deliver a long and detailed presentation advising them how to run the business as they took over. You can imagine the dozens of colorful charts and graphs and bullet points they might have been expecting. Instead, Scott had only two slides. And one of them allowed him to leverage a masterfully well-chosen metaphor that would prove to be worth $28.1 billion. Here’s how. Private equity firms are usually not interested in buying companies and managing them for decades. Typically, they buy companies they think will be more valuable if combined with another company, or managed differently, or simply need an infusion of cash to grow to the next level. Their objective is to rapidly grow the value of the business, sell it at the new higher value, and then repeat the process with another company. Scott knew this. So his second slide was a picture of a man getting into a yellow cab on a busy New York City street—an image all too familiar to the private equity team from New York. With that as backdrop, he explained the unusual convergence of events required for them to sell the company for a significantly higher price. First, the buyer would need to be one of the big carriers, like AT&T, Verizon, or Sprint. Nobody else would value the company high enough to make any serious returns, and certainly not another private equity firm. Second, interest rates would have to be low enough for a multi-billion-dollar acquisition to make financial sense to the buyer. That, in turn, required a strong bond market. Third, he explained, the temperament in Washington, D.C., must be just right to allow an acquisition of this size by an even larger competitor. The Justice Department monitors all mergers and acquisitions to make sure they don’t result in a monopoly and unduly harm the consumer. 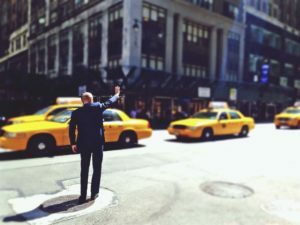 If it sees fit, it can step in and prevent such deals, or reverse them after the fact.
. . . waiting for that moment is a bit like trying to hail a cab in New York. You might have to wait a while. So when a yellow cab does pull over to pick you up, you’d better get in. You might not get another chance for a long time. For the next few minutes, the executive repeated everything Scott told him a year earlier and recognized the fortunate but unlikely convergence of events that led to the offer he had on the table. He decided he would take the offer, and thanked Scott for his counsel. Scott wished him luck, and ended the $28.1 billion phone call having only spoken a handful of words, none of which involved the sale of Alltel. Scott’s masterful use of the yellow cab metaphor 12 months prior convinced the executive to make a $28.1 billion decision without saying a single word about it. This is the power of metaphor at its finest—to make your recommendations as compelling and memorable as possible. I’ve heard some leaders advise against using metaphors in professional dialogue. “It’s too imprecise and unsophisticated” they might say. I couldn’t disagree more. A metaphor is one of the most powerful and efficient communication techniques at our disposal. It taps into complex and meaningful ideas that already exist in the mind of your audience and puts them in service to your message, sometimes with just a handful of words. That makes metaphors the highest ROI per word communication device in your toolkit. Don’t be afraid to use it. You can find simple tools for coming up with and leveraging great metaphors in chapter 24 of my book, Lead with a Story. 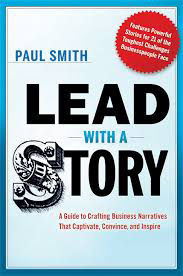 You can find this and 100 other leadership lesson in my book, Lead with a Story: A Guide to Crafting Business Narratives that Captivate, Convince, and Inspire. Sign up for my newsletter here to get a story a week delivered to your inbox.